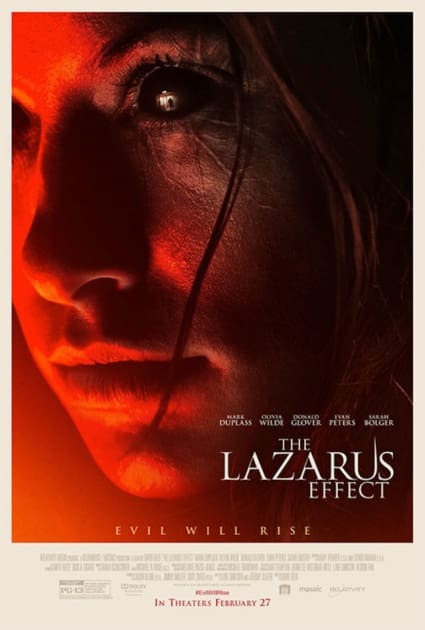 The Lazarus Effect is coming to theaters this Friday, February 27, and to celebrate the latest from Blumhouse Productions (Paranormal Activity movies, Sinister and so many more! ), we've got a downright scary prize pack with some fantastic swag as well as a $25 Fandango gift card to check out the movie. As teased in The Lazarus Effect trailer, the horror movie follows a group of researchers (led by Mark Duplass and Olivia Wilde) who are trying to find the key to give emergency doctors a few more minutes to save people on the verge of death. What they instead discover is a way to bring the dead back to life. Things take a creepy (and awesome) turn when Wilde gets electrocuted and Duplass uses the serum to bring his love back to life. Needless to say, she's not quite the same. Check out a Blumhouse instant classic and watch Insidious online and be sure to head to cinemas to be horrified by The Lazarus Effect this weekend.